We use horses for our transportation and our work, including running our machine shops & powering our laundry houses. We grow most of our own food, either in field crops or in our village gardens. Here are some photos of our gardens, produce, and canned goods. We build our own houses from either wood, stone, or earth. Some of our homes even have thatched roofs. We don't use any synthetic materials such as plastic or paints. Here you can see finished houses, our church and one construction project. 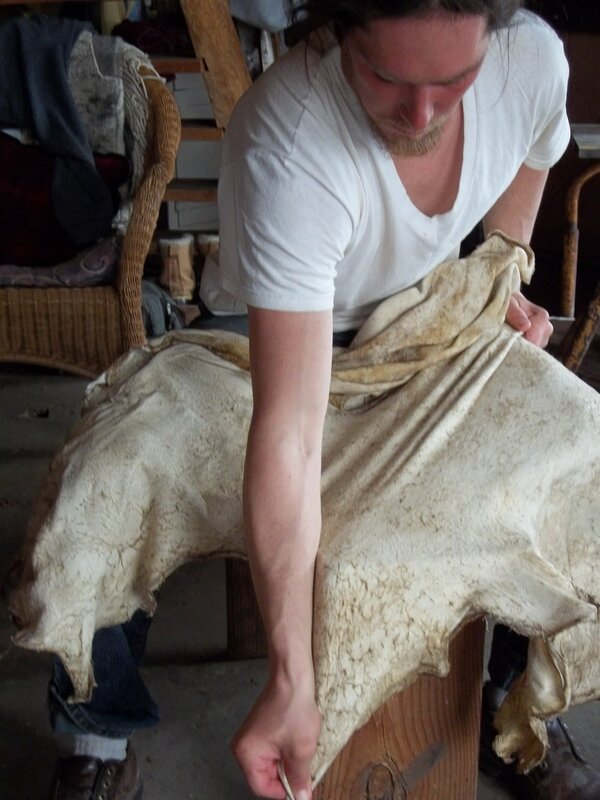 We do laundry, sew our clothes, knit our wool, tan leather and grind our grains by hand, horse power or treadle.